Established brands like Marriott and Hilton are expanding their extended-stay properties — a lucrative move as the revenues for these hotels have increased over 8 percent for the last year. It’s a story with a familiar ring to it: The extended-stay segment of the hotel business is performing well above the rest of the industry. In particular, as a recent report from The Highland Groupshows, the segment has been able to raise rates at a faster clip than the overall hotel industry. Extended-stay rates rose 7.2% in both the second quarter and first half of the year. By contrast, STR reported a 4.7% gain in ADR for the overall industry in the first two quarters of the year. 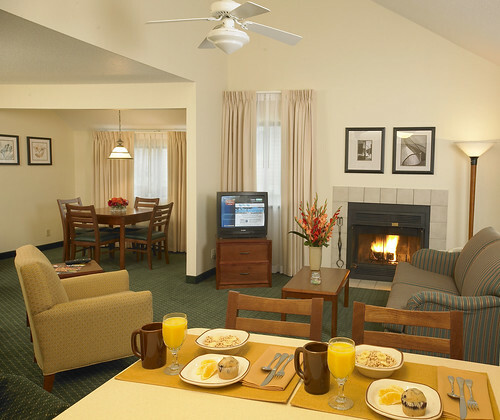 Residence Inn is one of Marriott’s two extended-stay brands with 218 combined properties. Photo by DiscoverDuPage. Demand rose 1.1% in the second quarter and 2.3% for the first half. Demand for mid-priced properties slipped slightly, which Highland says is due to “a great number of rooms under renovation” and the segment’s strong rate stance.